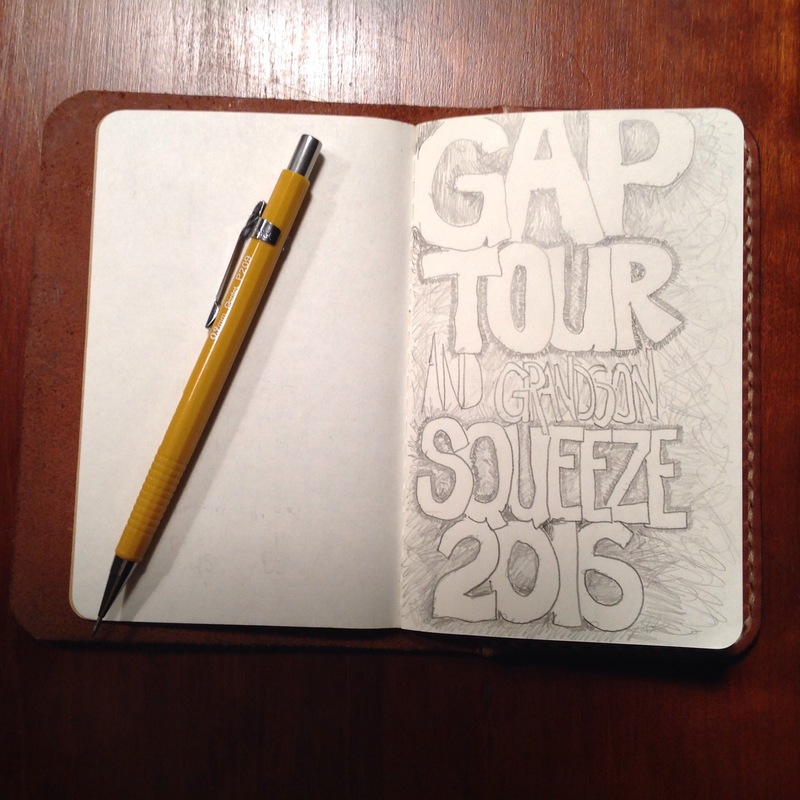 In my trip journal, I titled this excursion “GAP Tour and Grandson Squeeze 2016”. It was a 9-day trip that included a combination of family visit, socializing with friends, and a multi-day bicycle tour. Because this blog focuses mainly on my cycling activities and associated ponderings, this post (actually series of posts) will cover the cycling activities. 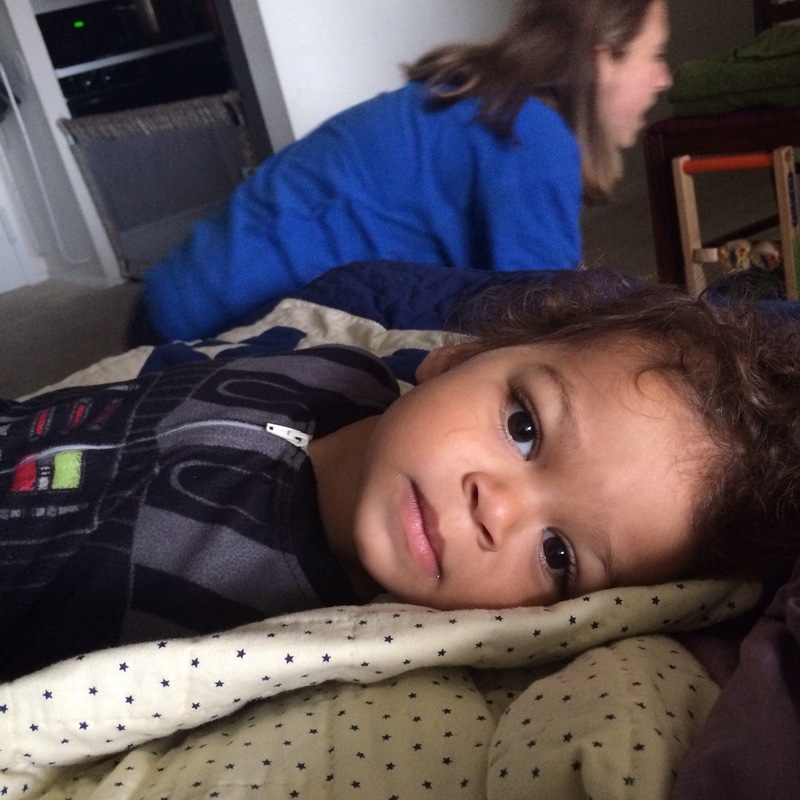 However, because I am as proud a grandparent as any, it will also include a few photos of my adorable grandson, Titus. For this I do not apologize. 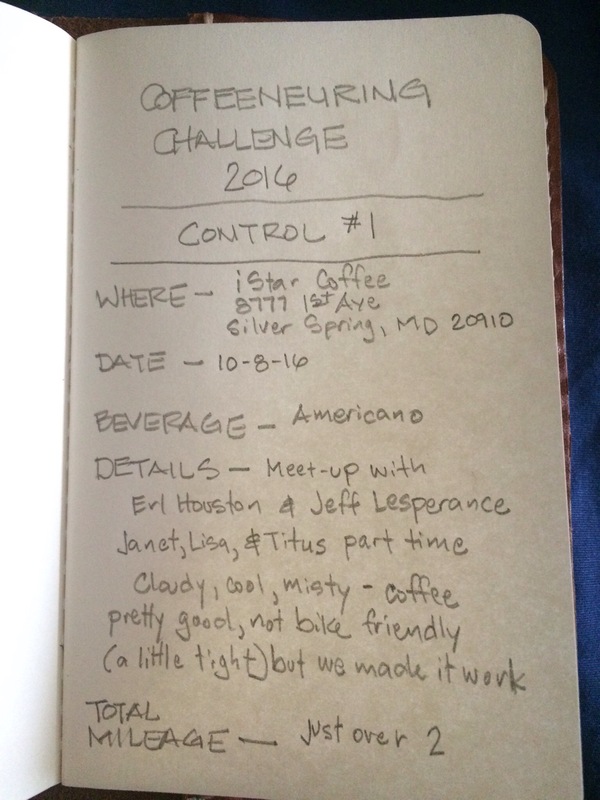 The first cycling activity (after post-shipping bike assembly) was my first coffeeneuring control for 2016.In addition to my wife, daughter, son-in-law, and grandson, I was joined by DC area friends Jeff Lesperance (@heyjaffy) and Erl Houston (@erlhouston). I had met Jeff last year when he was part of a group who joined our group for a portion of the C&O tour. Until this day, I had only chatted with Erl digitally. There was so much non-stop bicycle talk, the women and children retreated to my daughter’s apartment and left us to our excesses. I am grateful for my family making way for me to visit with these two guys, and for their willingness to make special arrangements to meet up with me. 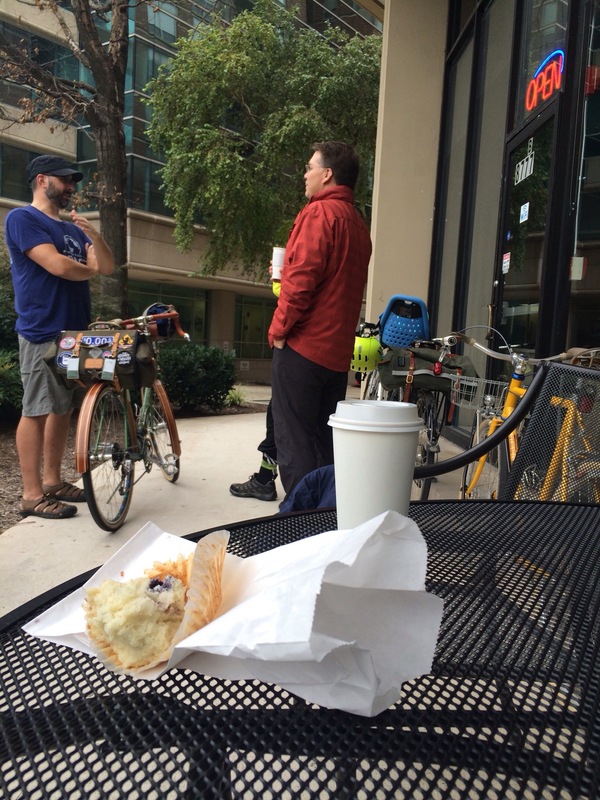 Coffeeneuring with friends is a rare treat. We hadn’t even started the GAP tour yet, but it already felt like a great start. 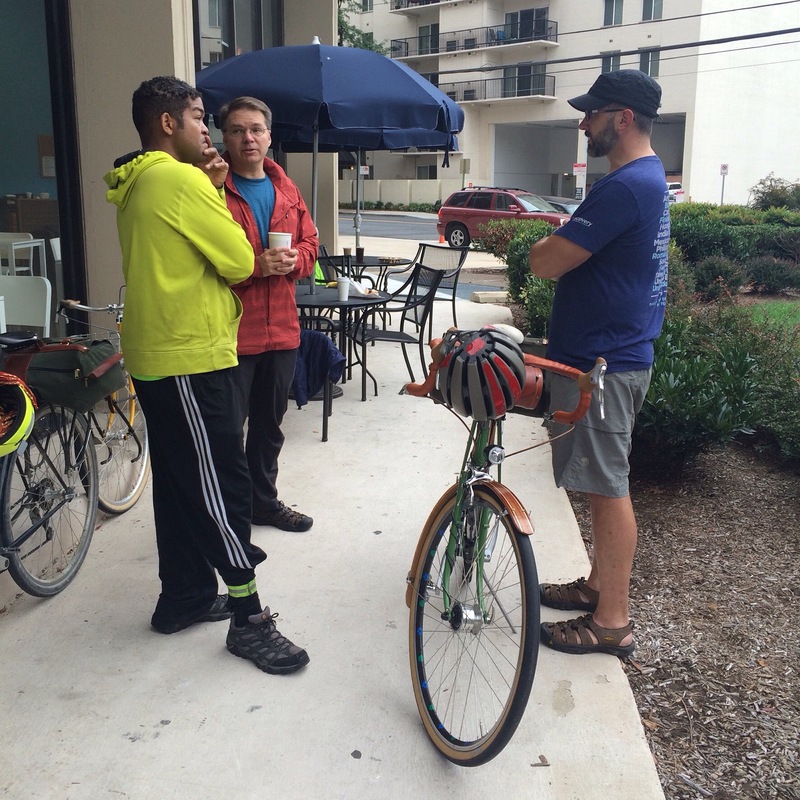 The next day, my son-in-law, Carey, and I would drive up to Pittsburgh, meet up with friend, Steve Butcher (@graveldoc), spend the night, and depart on the GAP Trail on Monday morning. I’ll pick up there in the next post. …looking so cool in those Darth Vader jammies, that I am reconsidering my bedtime wardrobe. Chris, did you ship your bike ahead via Amtrak? Yes, and it worked just as well as last time. I removed the basket and pedals, turned the stem 90 degrees, and rotated the bars. Then I rolled it into the box and shipped. Well, actually I also zip-tied a few pieces of cardboard to my seat stays, front rack, and top tube…just for a little extra protection. I followed your tour via Instagram…. nice. looks like you had a little rain. Just a light rain for about half the morning on the last day. I found it quite refreshing and delightful. So glad you went to the C&O! My husband also did it in September. Haha…I can relate to the early morning, waiting for coffee, situation!